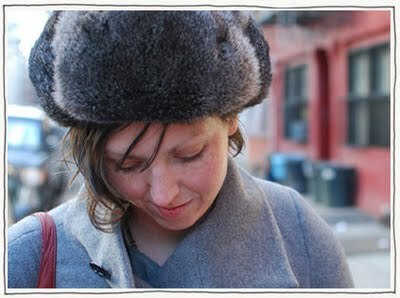 Meghan Carey has a designer’s dream job. 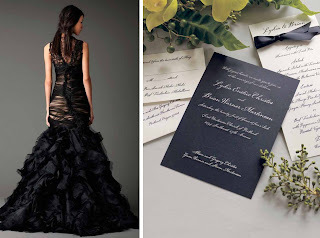 She puts pen (or pencil) to paper to create stationery for one of the fashion world’s most notable names: Vera Wang. Though wedding dresses are perhaps the first thing that comes to mind when one hears that name, they’re just a part of a more robust collection that includes Ready to Wear pieces to fill the most coveted of closets. Her stationery is no different. 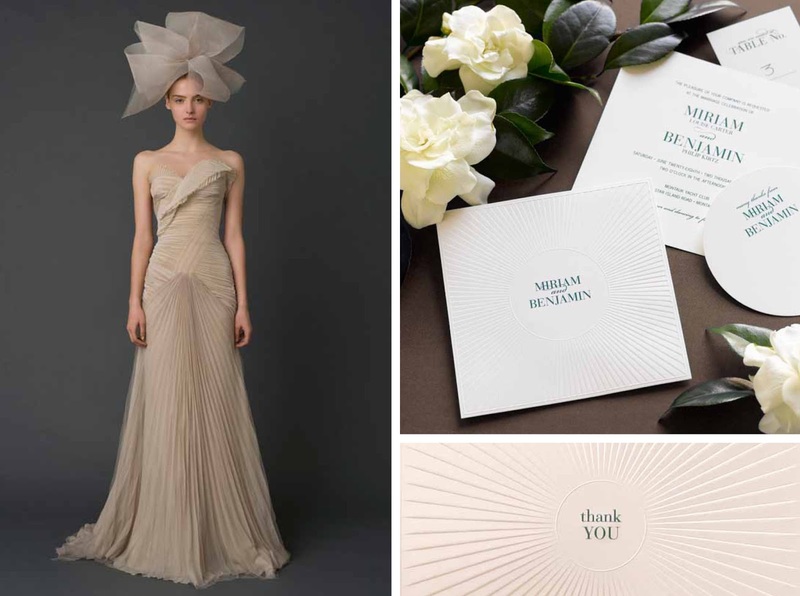 While wedding invitations are certainly a staple, boxed notes and cards for everyday use round out Vera Wang’s paper portfolio. You've been designing Vera Wang's stationery collections for quite some time now — what's the one thing that has always remained a constant thread throughout them all? I always derive inspiration directly from her Ready to Wear and Bridal collections. Sometimes this is reflected in an obvious way — like the Black Invitation or the Radiant Embossing — and sometimes the derivation is more subtle or conceptual. 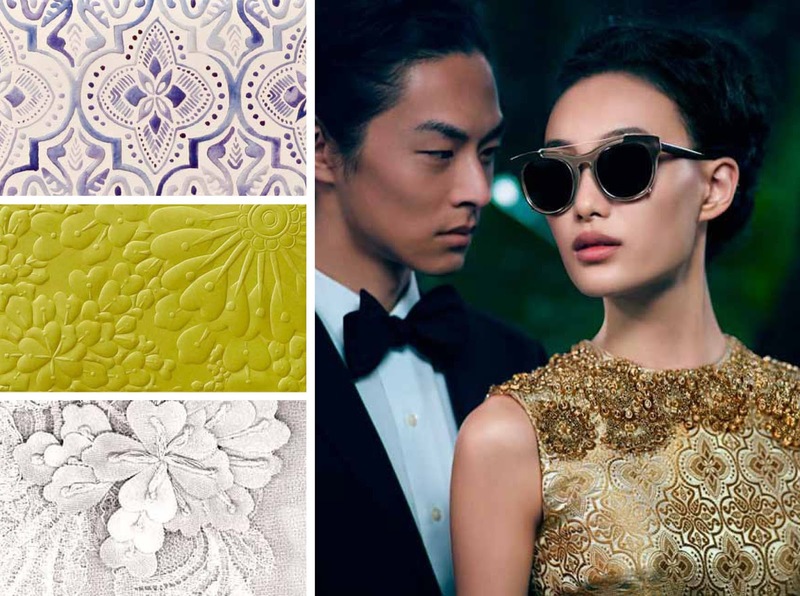 Where did you draw inspiration for this collection? With boxed stationery, we have the opportunity to really showcase the whimsical side of Vera Wang and take greater liberties in our interpretation of her textiles, trims and palettes. One of my favorite parts of the job is attending the runway shows. I really start there. Then, I work with the Vera Wang Licensing Team to obtain swatches and samples of everything. Sometimes it's helpful to trace back to the designer's inspiration — even if a certain sketch, poem or snapshot doesn't reveal itself in the final collection, it is helpful to know where the idea came from. Often, the impact of a gorgeous garment will be more about the drape and cut than a textile or weave. If I determine that Vera Wang is making a statement about unexpected layering or surprising scale — and when I learn that she's looking at Rothko or 20th century Russian dress — I'm better prepared to design something that aligns with her current aesthetic. Who do you see using the pieces of this collection and for what occasion? I am confident that there is something for everyone in this collection. There are classic Engraved Correspondence Cards and Informal Notes for the more traditional and understated consumer, while I see the punchy Distressed Foil collection appealing to a more confident and modern aesthetic. 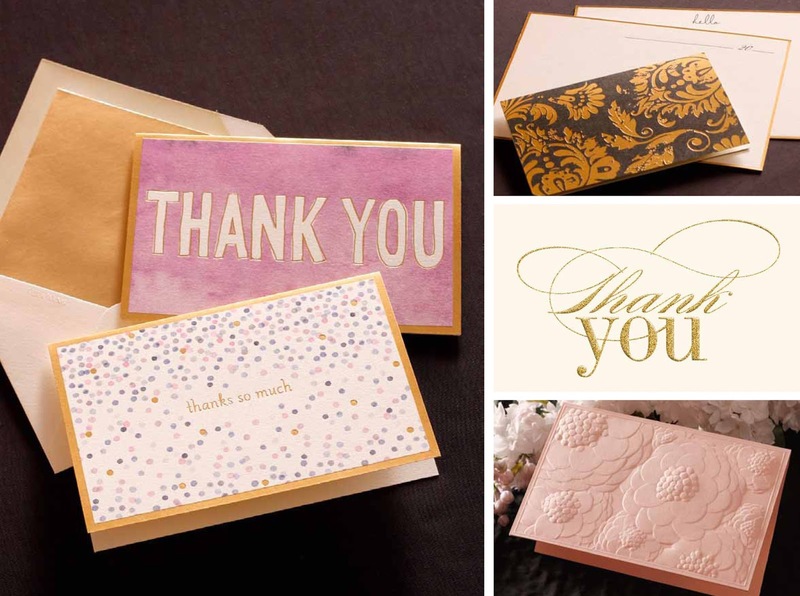 Personally, I think the Watercolor Thank You Notes are an adorable assortment, fitting for a range of consumers, while the Embossed Notes (on colored paper) are more subtle and offer an accessible level of sophistication. Shoot. Really? I have to choose? I have four favorites! The Blush Zinnia, The Gilded-Era Fill-In, The Gold Bordered Thank You and the Distressed Paisley! Oh and the Amethyst ThankYou Assortment. I guess that's five. Like what you see? Shop the collection by visiting William Arthur on crane.com.